Community Service Archives - La Cava & Jacobson, P.A. 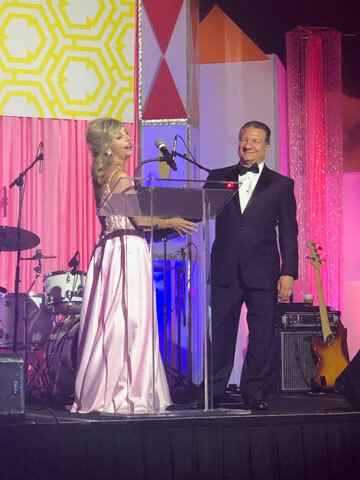 April and Lou La Cava were honored to be co-chairpersons of the 2019 St. Joseph’s Children’s Hospital Foundation Heroes Ball, Journey to Candy Land. 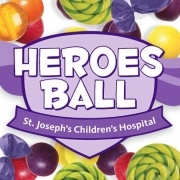 This year’s Heroes Ball raised more than $500,000 toward the purchase of virtual reality technology for the St. Joseph’s Children’s Heart Institute that will give cardiac surgeons the ability to plan and prepare for complex heart surgeries in a way never before imagined. This technology can help save the lives of many children who need complex heart surgery. The Ball also honored community hero Dr. Kiran Patel. Dr Patel has become one of Tampa’s most prolific philanthropists. The impact of his generosity has positively impacted our community, the nation and the world. La Cava & Jacobson was proud to be a major sponsor of this fabulous event. 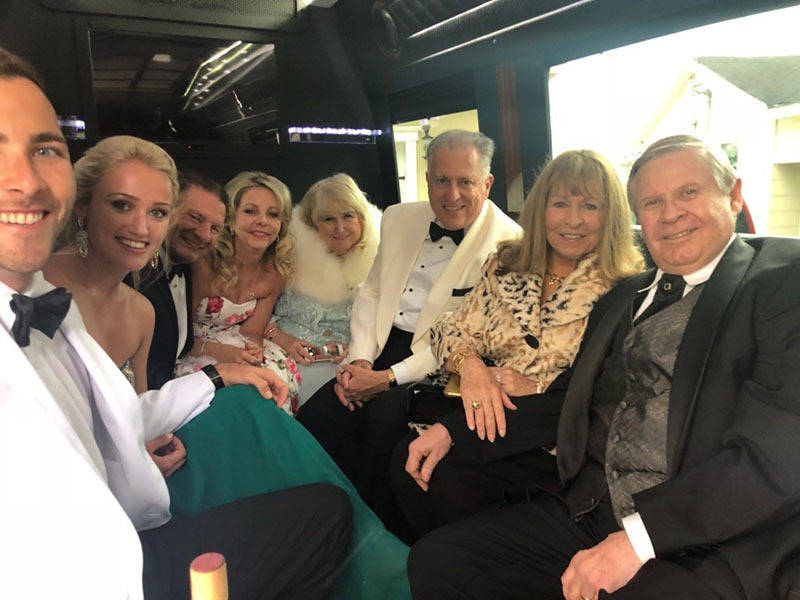 Lou and April would like to personally thank all of the other sponsors and everyone who attended the Heroes Ball for their generosity in making this event such a fabulous success. It was their privilege to serve as co-chairs. 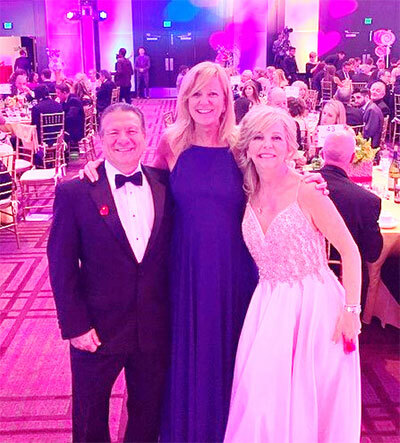 Lou and April LaCava with Kimberly Guy (center), President of St Joseph’s Hospital. 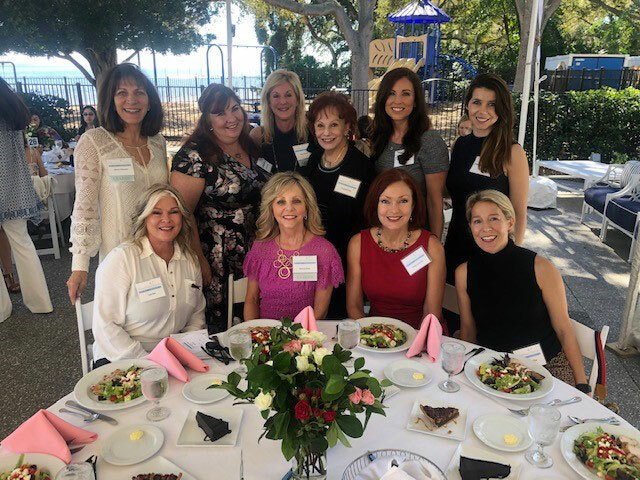 La Cava and Jacobson was pleased to sponsor a table for friends, clients and lawyers at the Philanthropic Women of St Joseph’s luncheon which featured guest speaker Julianna Margulies star of The Good Wife. Julianna told many stories from her life including those from her role in ER where she co-starred with George Clooney. April La Cava participates as a leader with the Philanthropic Women organization. 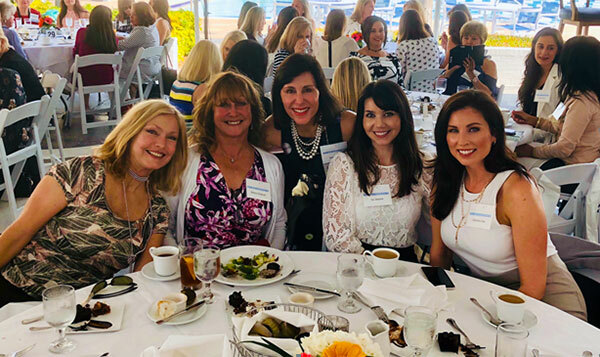 Philanthropic Women of St. Joseph’s is a leadership network of community-minded women who want to change and save lives in the Tampa Bay community by investing in collaboration with other women leaders. Gifts from the Philanthropic Women support women, children and families at St. Joseph’s Hospitals. La Cava and Jacobson is pleased to sponsor events for this very important charitable organization which continues to provide financial and volunteer support to The St Joseph’s Hospitals Foundation. La Cava and Jacobson was proud to be a food and beverage sponsor for Eric Piburn’s birthday party. 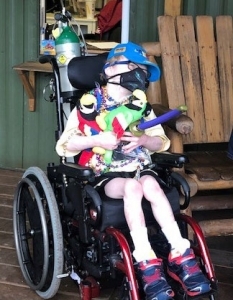 Eric is a brave and inspirational young man who has been fighting severe health issues his whole life. He dedicates much of his time to putting together events in order to help others in need. 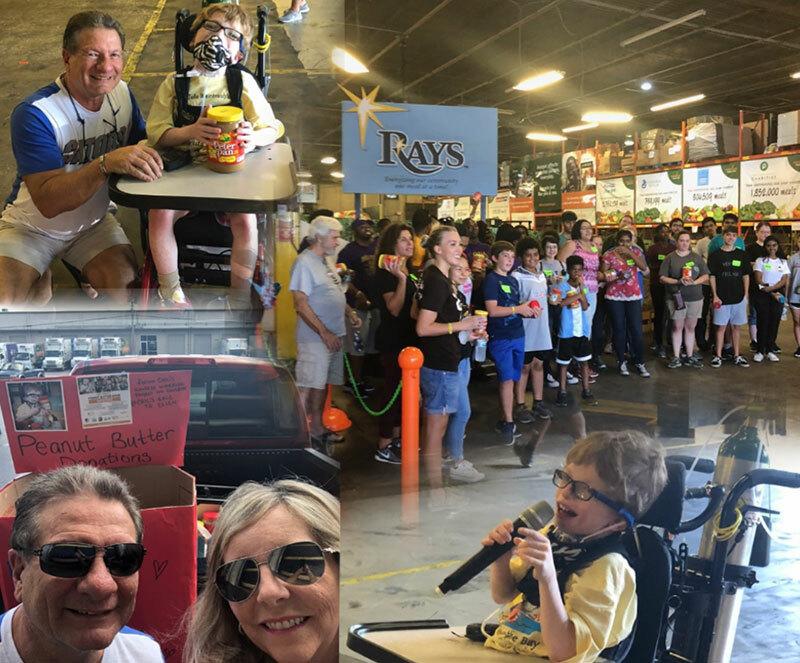 His birthday party was held to support Eric’s medical fund. Eric is hoping that he will one day get on Ellen DeGeneres’ television show to tell his story. That would be a treat for him but even more of a treat for the viewers of Ellen’s show. We certainly hope that will happen. 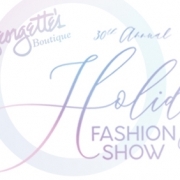 December 7, 2018 marked the 30th anniversary of the Georgette’s Boutique Holiday Fashion Show. La Cava and Jacobson, P.A. 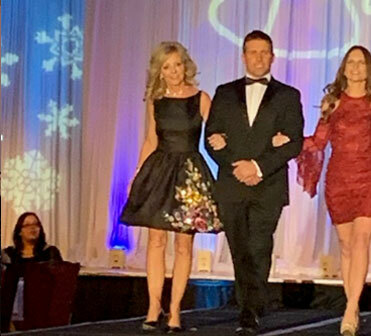 was honored to be an Elite Sponsor of Georgette’s Boutique Holiday Fashion Show Benefiting St Joseph’s Women’s Hospital. The event raised $200,000.00 to purchase a state of the art breast ultra-sound. 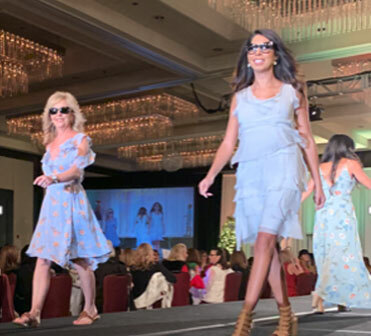 We were especially proud to once again see committee member, April La Cava, grace the runway as one of the celebrity models. 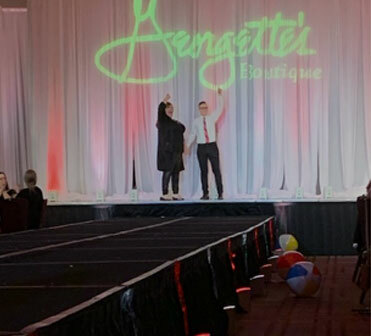 A big thank you to all of the sponsors, committee members and of course Georgette Diaz, Tashia Diaz-Walker and Bentley Garcia of Georgette’s Boutique for making the event such a big success for such a good cause. La Cava & Jacobson, P.A. 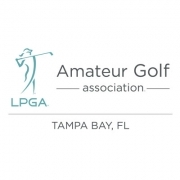 was once again proud to be a sponsor of the LPGA Amateur Golf Association (formerly Executive Women’s Golf Association or EWGA). 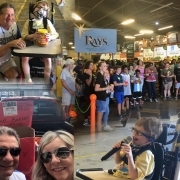 The Tampa Bay Chapter consists of Hillsborough, Pinellas, and Pasco counties. Members are business owners, corporate executives, professionals, stay-at-home moms, retirees, and entrepreneurs. 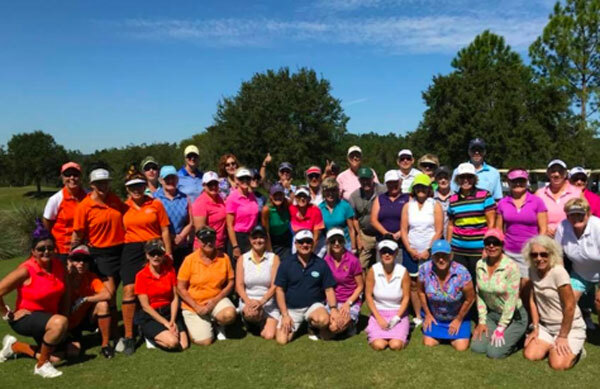 LPGA brings women together to share their passion for golf! 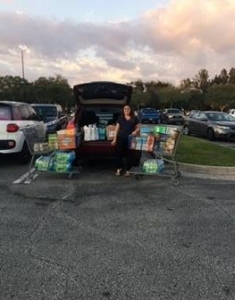 La Cava & Jacobson employee Meagan Farey started a fundraiser at work to help provide relief for a family devastated by Hurricane Michael. The generous donations filled two shopping carts with food, water, tarps and other essential supplies. 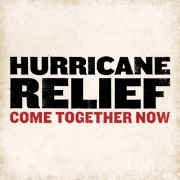 In the end, we were able to help the family and also donate to other victims needing relief. The employees of La Cava & Jacobson were proud to participate in Eric Piburn’s Peanut Butter Drive to fight childhood hunger. Our employees joined with others in our community donating hundreds of pounds of peanut butter. All of the donations were used to support Feeding Tampa Bay to help fight hunger in our local community. Eric is a special young man and we were privileged to assist him in this wonderful endeavor. La Cava & Jacobson, P.A. 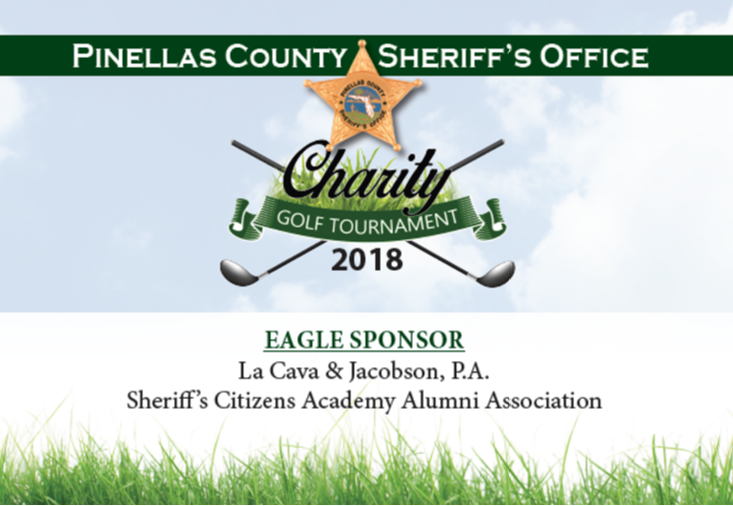 is a proud sponsor of Pinellas County Sheriff’s Office 23rd Annual Charity Golf Tournament. All proceeds benefit the Florida Sheriffs Youth Ranches. 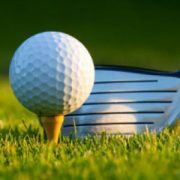 The Foundation contributes to the success of youth boys and girls across the state by providing educational, leadership, and life skill programs. La Cava & Jacobson, P.A. 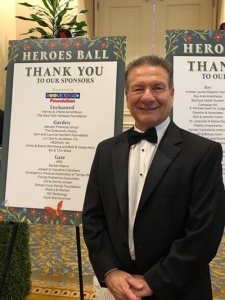 was a proud sponsor of the Heroes Ball honoring Community Hero, Daniel Plasencia, M.D. and raising money for the St Joseph’s Children’s Chronic Complex Clinic. The evening was a huge success raising $450,000. The Chronic Complex Clinic cares for children with the greatest medical challenges. It was announced by St Joseph’s Hospital President, Kimberly Guy that the Chronic Complex Clinic will be named after Dr. Plasencia. 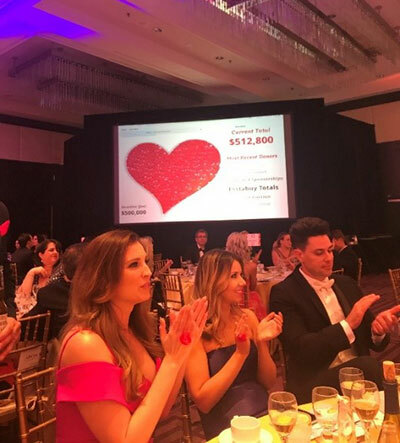 La Cava and Jacobson was honored to be part of this fundraising effort for such a wonderful cause. 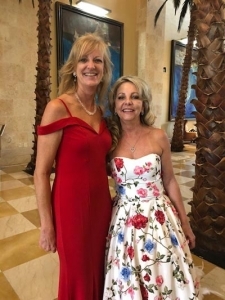 Kimberly Guy, President of St. Joseph’s Hospital with April La Cava. 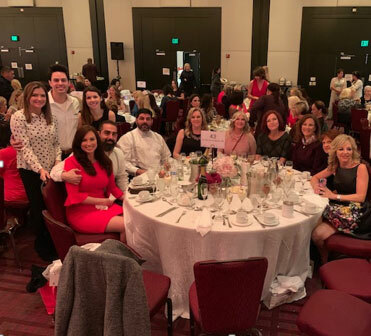 La Cava and Jacobson sponsored a table for friends, clients and lawyers at the Philanthropic Women of St Joseph’s luncheon which featured guest speaker Jenna Bush Hager. Jenna Bush Hager is the daughter of former president George Bush and author of Sisters First, a book about growing up in the White House. April La Cava participates as a leader with the Philanthropic Women organization. 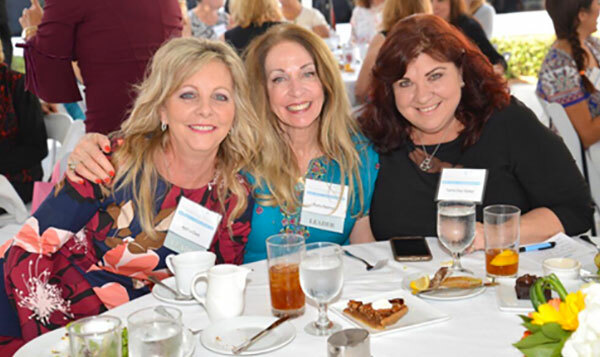 Philanthropic Women of St. Joseph’s is a leadership network of community-minded women who want to change and save lives in the Tampa Bay community by investing in collaboration with other women leaders. 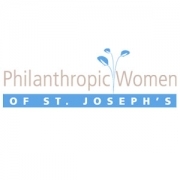 Gifts of Philanthropic Women support women, children and families at St. Joseph’s Hospitals. La Cava and Jacobson is pleased to sponsor events for this very important charitable organization.